Why do teenagers seem to lead such self-centred and disorganised lives and yet cannot seem to ask for help from caring adults? Here we shed some light on the sometimes baffling and bizarre choices that teens make. Teenagers are dominated by the need to work out who they are as people – it’s called individuation. One thing they do know – they don’t want to be like mum or dad, and don’t want your advice that much, as they are trying to separate from parents and find their own way. So a lot of well meaning advice from parents will actually feel like attempts to control or threaten their own fledgling identities. Teens really do need to work it out for themselves, separate from parents. This is painful for parents who have accumulated wisdom over the years and want only to pass this on and help their child avoid unnecessary pain. However, teenagers searching for their adult identities can really benefit from the friendship and support of a non family adult – maybe a teacher, coach or counsellor. They will adopt whatever fits for them, without the feeling swamped or threatened by parental attempts at guidance. Most of the time, teenagers are busy working out who they are, by comparing themselves to their peer group. Since these are also teenagers also experimenting with their identities, it is a fairly messy process. Teens are hyper aware about how they look, and will spend hours getting it just right. It is really important for them to fit in with the peer group, either in their clothing, language, or behaviour. If they are to be separate from their parents, the group needs to provide reassurance and a new identity as a young adult. Much of the teenage search for identity is taken up in comparing oneself with others. Sometimes this leads to bullying, exclusions and put downs, which can be very damaging to teenagers’ fragile self esteem. Throw in the 24/7 online world and this damage can spread far and wide. The teenage brain develops unevenly, starting from the back of the head and finishing up at the front end. Unfortunately for parents, the “back end” - or limbic system – produces the emotions and risk taking behaviours. The “front end” is taken up by the prefrontal cortex, which regulates the emotions, and makes adult, rational decisions. As the prefrontal cortex (“front end”) is not fully developed until around age 25, the limbic system is often in charge. Add in a surge in sexual development / hormones, and you have a car with an accelerator and no brakes. Remember that this will pass. Don’t try to control your child too much – give them a longer leash, with a few well chosen boundaries. You will get your child back around age 25, when he/she is a fully developed adult. They will be different from childhood, but will be able to make sound and wise decisions for themselves and others. 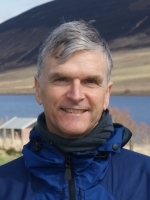 Mike Martin is a COSCA registered counsellor, based in Livingston, Scotland. He specialises in working with young people, having worked with them for 25 years. Why domestic violence rises during the World Cup Eating disorders: what's your relationship with food?